If you or a loved one is seriously ill, you likely have many questions. Making a decision about hospice care is never easy, but finding answers can help you feel more comfortable with the options available and confident in your final decision. Below are frequently asked questions about hospice care. If you would like more information or have additional questions, please contact us. Care is for anyone who has a life expectancy of six months or less based on a physician’s best judgment. This includes, but is not limited to, Alzheimer’s, heart and liver diseases, cancer, COPD, ALS, Parkinson’s and other conditions related to end-of-life. Some people live longer than their original prognoses once their pain and symptoms are under control. We continue to provide the same care for you as long as you meet the conditions for hospice services. Our nurses specialize in pain control and symptom management and will promptly address your comfort needs. You determine the level of pain medication needed. How does hospice care improve quality of life for me and my family? Your Hospice team comes to you, providing everything you need to be comfortable. This allows you to focus on valuable time with your loved ones. Our care and services are available to anyone who needs them, regardless of insurance coverage or ability to pay. Hospice services, including medical equipment and medications for your terminal diagnosis and related conditions, are covered under the Medicare and Medicaid Hospice Benefits. Most private insurance plans also offer a hospice benefit. We can visit with you to determine if hospice care will benefit you. If the time is right for hospice services, we can call your doctor. However, you should feel free to discuss hospice care at any time with your doctor, other health care professionals, clergy or loved ones. Many people, especially if they are receiving hospice care early in their illnesses, are able to continue to live independently. However, as your illness progresses, you may want more assistance. We will help you identify a plan to get the help you need. 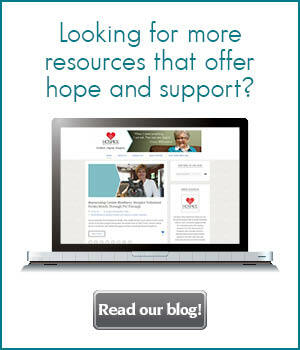 How can I learn more about hospice care? If you’re living with a life-limiting illness, Hospice of the Red River Valley can help. Contact us and we’ll visit with you at a time convenient for you, free of charge. If hospice care is right for you, we will do the follow-up work, including contacting your doctor, starting the necessary paperwork and arranging a visit with a hospice nurse.